Girl these floaty shorts are a must-have. 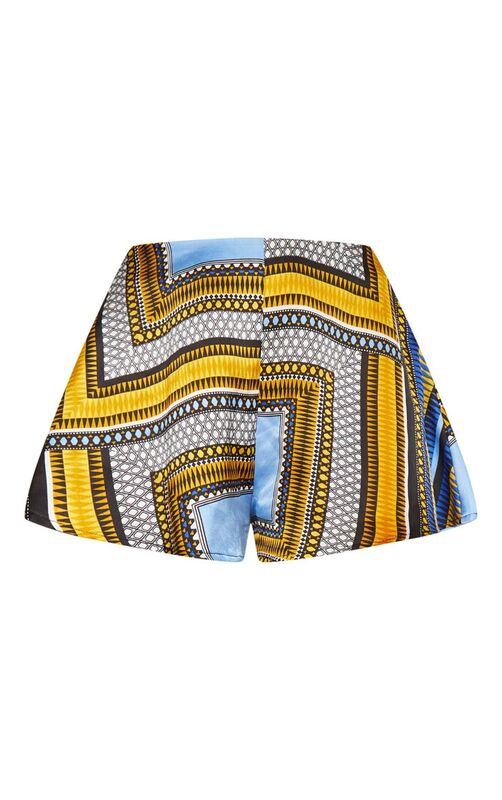 Featuring a blue satin tribal print material with a high waist and floaty fit. Team this with our matching frill crop top and tie up sandals for that on-point summer look.